Provided by St. Francois County Sheriff's Dept. A woman who served federal time for her role in a drug ring is back in trouble again. Amber Denay Marler, 34, of Bonne Terre, has been charged with two Class B felonies of distribution of meth; two Class C felonies of possession of meth; as well as possession of alprazolam; possession of clonazepam; possession of phentermine; possession of dextroamphetamine; and possession of lorazepam. Her bond was set at $250,000. 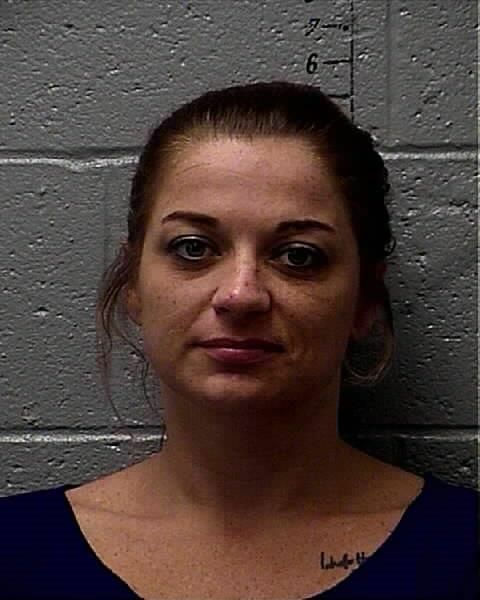 According to the probable cause statement, the Mineral Area Drug Task Force received information that Marler and an unnamed person were distributing a large quantity of crystal meth from her residence on Easter Street in Bonne Terre. During the month of August investigators went through the trash at the address and found baggies containing meth residue. Also in August, two separate controlled narcotics purchases were made by Missouri State Highway Patrol confidential informants. During the transactions, Marler provided the informants with crystal meth in exchange for cash. On Thursday morning investigators executed a search warrant at the home. Among the items found were crystal meth, numerous drug paraphernalia items such as glass smoking pipes with residue, assorted prescription narcotics and a hidden bundle of cash. Marler was taken into custody and read her Miranda rights. She told police she had been using meth off and on for a while. She said she had only helped friends out by selling meth to them on four occasions. She denied any involvement in the purchase or transaction of bulk amounts of crystal meth. Back on Sept. 9, 2013, Marler was arrested along with several other local people by the FBI for conspiracy to distribute a controlled substance. She was sentenced to 18 months in federal prison followed by two years of supervised release. So less than 3 years after an 18-year sentence, she is busted doing the same stuff? Was she already off supervised release, too? Idk. But being on it and getting an 18 year sentence both dosent appear to have made a difference. She is what is known as an "habitual offender."